PANDORA designs manufacture and markets hand-finished and contemporary jewelry made from high-quality materials at affordable prices. PANDORA jewelry is sold in more than 100 countries on six continents through more than 7,700 points of sale, including more than 2,700 concept stores.Founded in 1982 and headquartered in Copenhagen, Denmark, PANDORA employs more than 32,000 people worldwide of whom more than 14,000 are located in Thailand, where the Company manufactures its jewelry. PANDORA is publicly listed on the Nasdaq Copenhagen stock exchange in Denmark. In 2018, PANDORA’s total revenue was DKK 22.8 billion (approximately EUR 3.1 billion). 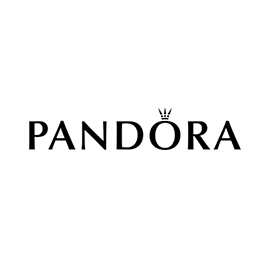 PANDORA is looking for a Digital Marketing Coordinator in Sydney, Australia. If you meet the requirements below, you will be eligible to apply via Digital Marketing Community. Aid in content calendar planning and idea generation email marketing creative. Brief and coordinate EDM artwork requirements, build in the email marketing platform, test and proof eDMs. Brief and coordinate creative assets for a brand, campaign and e-commerce digital media assets, including display, video, content and native. Communicate with digital agency and coordinate the dispatch of media assets. Copywriting for eDMs and digital media assets. Organize internal communications and reporting for digital marketing. Coordinate assets for local area digital marketing initiatives. Coordinate requirements for partnership digital marketing initiatives as required. Serve with website content management and social media as required. Degree or diploma in marketing, communications, business, and/or equivalent professional experience. Minimum 2 years of marketing experience in a similar role with a global brand (jewelry, fashion or cosmetics preferable). Effective experience working with digital channels including using email marketing platforms and content management systems. Proven track record in dealing with MS Excel, MS Powerpoint and MS Word. High attention to detail, an engaging copywriting style, an eye for good design and an understanding of the commercial requirements of working in retail. Collaborative working style with an ability to work within a team in a hands-on capacity.